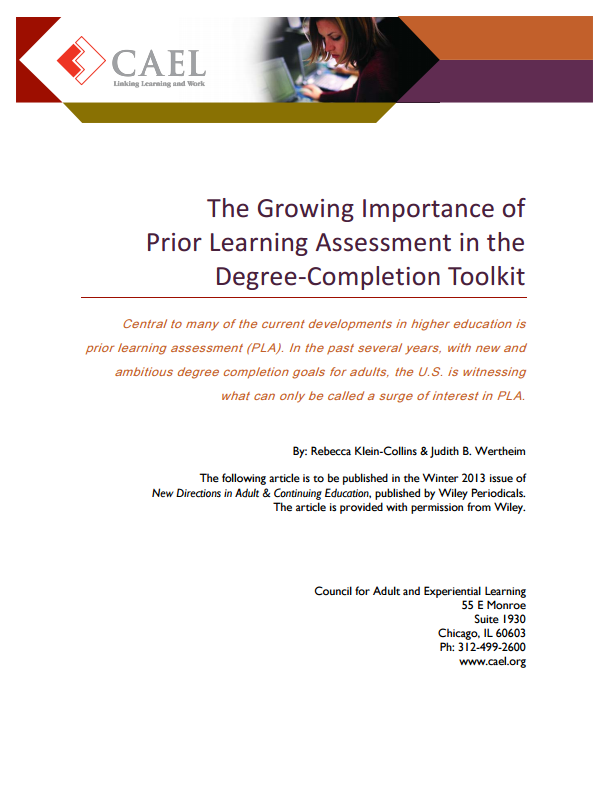 Central to many of the current developments in higher education is prior learning assessment (PLA). In the past several years, with new and ambitious degree completion goals for adults, the U.S. is witnessing what can only be called a surge of interest in PLA. This article expains the new, expanded future for PLA that may now be possible.